Like so many breweries around the country, New Holland Brewing Co. gives visitors a selection of special offerings when they grab a seat in the brewpub. Recent options have included a maibock, Czech pilsner and even a fermented tea known as kombucha, dubbed “Pina Colada” by the brewers. But sometime around mid-2014, unsuspecting patrons were actually playing guinea pig for the Holland, Michigan, brewery’s staff, sipping on beers called “Citra Pants” and the ambiguous, abbreviation-laced NHBC IPA. There was a purposeful mystery surrounding the two one-off beers, perhaps even drawing a little more attention to customer reactions and feedback. In reality, each order of the beer—part of a series of four test batches—acted as a two-way mirror for New Holland’s brewers. They had been tinkering ever so slightly with their flagship beer, Mad Hatter IPA, and these were the results. After months of discussion, it was time to revamp and reinvigorate the DNA of a beer that had gone relatively untouched since its debut in 1998. Brewers looked to break down the long-standing recipe and build it back up with new malt, new hops, 50 percent more dry hops and even a new alcohol content, with Mad Hatter’s original 5.25% sitting below what many of today’s IPAs offer. It was a change necessitated by time and tastes with a marketplace now flush with hundreds of versions of the hop-forward style. As beer drinkers’ palates and expectations have evolved, breweries have had to follow suit, especially long-tenured businesses that popularized the IPA years ago. When it comes to one of today’s dominating styles, status quo won’t cut it. New Holland found itself playing catch-up. So in addition to a new recipe, New Holland also rolled out new advertising for the latest version, prominently declaring “Mad Hatter’s Getting Madder” along with an updated logo. Packaging also showcases the phrase “Midwest IPA,” meant to conjure ideas in drinkers’ minds of local terroir from Michigan-grown Cascade hops. Despite the changes, keeping the name was important, Bueltmann says, because brewers felt they were reimagining their benchmark IPA, which had been a part of the company since its earliest years. Updates to the beer weren’t meant to create a whole new brand, but help Mad Hatter stand out against more-dramatic examples of the IPA. It was a moment not unique to New Holland, which, like Mad Hatter, found itself standing between the brewery’s past and the evolved tastes of beer drinkers. Rucker points out there are many ways to accomplish this, from updating a brand image, to altered communications to consumers or even changing a product itself. To stay relevant, he says, a business needs to innovate to stay modern. That may be doubly so for an ever-growing beer market. “There’s certainly plenty of good beer out there, so it’s a matter of finding a talking point where consumers will want to say ‘that beer is for me,’ ” Rucker says. 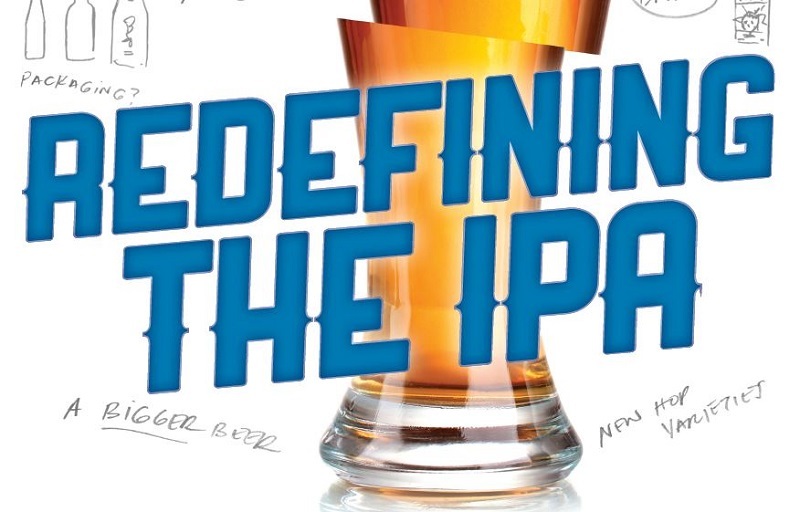 For many beer drinkers around the country, interest continues to revolve around IPAs. Through May, market research company IRI estimated nearly 900 IPAs were available in supermarkets across the country, which included just over 140 additional IPA brands entering into stores during the first five months of 2015. Using the trend of hop-forward beers such as IPAs to alter recipes makes sense, given continued development of new hop strains with increased focus on unique aroma and flavors, says Stan Hieronymus, author of For The Love of Hops: The Practical Guide to Aroma, Bitterness and the Culture of Hops. He notes that historically, advances in hop cultivation led to adjustments in what brewers put into their beer, and with American consumers so interested in what comes along with being “hoppy” these days, IPAs are a logical style to refresh. Craig Shapland, a homebrewer and beer enthusiast who lives in Agoura Hills, California, wasn’t sure what to expect from updates released this spring to recipes for Stone Pale Ale and Stone Ruination IPA. Shapland had been a longtime fan of Ruination, a beer that was first introduced by the Escondido, California-based brewery in 2002. Along with Russian River’s Pliny the Elder, Stone Ruination IPA was one of the beers that got Shapland interested in double IPAs when he first had it about 10 years ago. Shapland says he might have purchased Stone Ruination IPA once a month, but with more options readily available to fulfill his taste for a beer “all about the hops” in recent years, there were other options to sample, too. Times had changed, and so had the competition, so Stone dreamed up aptly named “2.0” versions of Stone Pale Ale and Stone Ruination IPA that looked to recapture the taste buds of drinkers. Which is exactly what Mitch Steele, brewmaster at Stone, wants to hear. In late 2014, he began working on an update to the double IPA’s recipe after staff recognized new varieties of hops and techniques could offer the inspiration to get beer fans talking about the beer again. Changes would include “hop bursting,” the process of using big hop additions late in the boiling process of making the beer to minimize bitterness and maximize hop aroma. Two pilot batches were created in December 2014, mixing Centennial hops with either Citra or Simcoe and working to up the ABV to 8.5%. Instead of focusing on one test batch over the other, the final recipe called for inclusion of both those hops, along with Nugget and the tropical fruit notes of Azacca hops. It presented a more dramatic update than tweaks made in 2013 to accommodate changes in hop supply and malt quality, which had increased the beer’s alcohol content from 7.7 % to 8.2 % and altered the hop bill to include Magnum and Chinook hops with Centennial instead of Columbus hops. Just four months after the initial pilot batches, Stone Ruination Double IPA 2.0 was ready to roll out to customers in April 2015, but it wouldn’t be alone. While Stone built off the recipe of its original Ruination IPA, brewers would go in a completely new direction for a 2.0 take on the Stone Pale Ale—the first beer brewed by the company in 1996. A copper-toned beer with inspiration of malt use from British pale ales was turned into a golden, hopped-up version including German hops Herkules and Mandarina Bavaria and even a touch of rye. It took over a year of test batches—several focusing on Citra hops—to crack the recipe on Stone Pale Ale 2.0, Steele says. A positive reaction to the new beers came from stores like Cincinnati’s Brentwood Spirits and Wine, where beer buyer Frank Seta says his shipment of Stone Ruination Double IPA 2.0 sold out in two days and Stone Pale Ale 2.0 lasted four. Seta notes he expected as much, given customers’ nostalgic feelings toward original versions and an eagerness to see what changes were made. But as adapting to market trends is necessary for some, other breweries have seen value in staying the same. At Harpoon Brewery in Boston, the biggest change to New England IPA since it was first released in 1993 might have been how the brewery uses its malt. The first batches featured pale malt that was toasted at home by Harpoon employees in their ovens. Then, in late 1993, Al Marzi, now Harpoon’s chief brewing officer, would put 55-gallon drums of the malt in a pickup truck and drive around the corner from Harpoon’s brewpub to Pete’s Dockside restaurant, toasting the ingredient in industrial-sized ovens. By mid-1994, Harpoon began sourcing Victory malt from Briess Malt & Ingredients Co. and thus ended the labor-intensive process. Al Marzi, chief brewing officer at Harpoon Brewing. Hop volume in Harpoon IPA has also adjusted over the years as crops yielded different amounts and prices, but has always focused on Cascade hops. Over the years, bittering hops have included Cluster, Nugget and Apollo, but Marzi points out the beer’s taste was never meant to change. 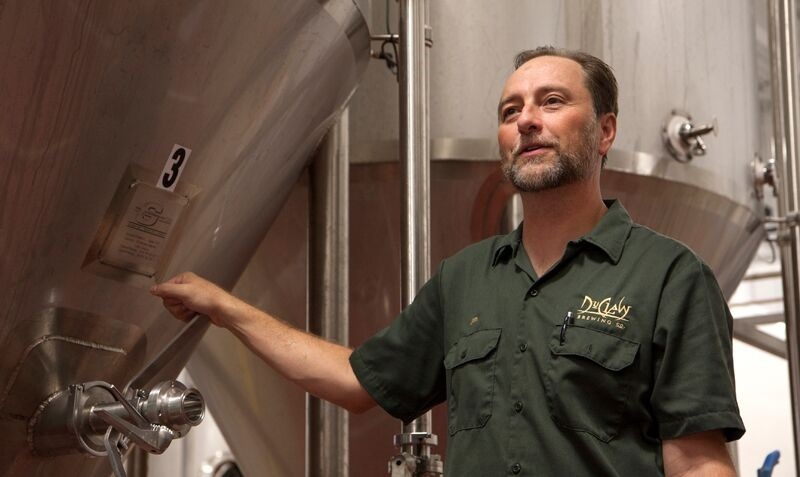 A different approach is taken at DuClaw Brewing Co., which has restaurants and a main production facility in Maryland. Instead of a set recipe for Neon Gypsy IPA, brewmaster Jim Wagner has built in flexibility to his ingredients to allow for subtle—or major—changes as necessary. When preparing ideas for Neon Gypsy’s recipe, he sourced suggestions of favorite hop varieties from his brewers, coming up with an eclectic collection of seven hops to be used in the beer, from classic American options like Columbus to New Zealand’s Nelson Sauvin and Japan’s Sorachi Ace. Best of all, the marketing around Neon Gypsy is used to set the expectation of change if such an occasion ever arose. “The name is about wandering around, but never really finding a home in one place,” Wagner says. 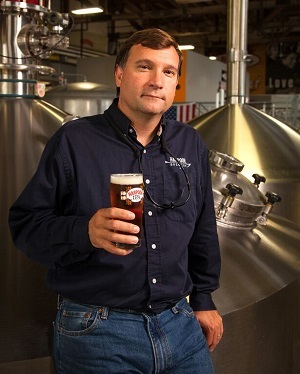 Jim Wagner, brewmaster at DuClaw Brewing. Thanks to the wide variety of flavor characteristics provided by hop varieties—a number that continues to grow—IPAs may offer the greatest flexibility when it comes time for a brewer to revamp a recipe. No matter how brewers address the issue, New Holland’s Bueltmann believes any brewery shouldn’t be afraid of asking whether an update, refinement or new definition for a brand is worth seeking out. He admitted initial conversations about changing Mad Hatter might have felt scary at first, but transparency and honesty among colleagues made the process easier, especially when discussing changes in consumer preferences and how their brewery could confront them. The reality of the market showed that experimentation can be valued, innovation can push expectations and, ultimately, finding a new way to showcase an older beer might be worthwhile. Each brewery needs to do what is best for their business without letting sentimentality get in the way. Living in Massachusetts, Harpoon IPA is still everywhere. For them, it wouldn’t make sense to change it, even if it isn’t the beer of choice for “hop heads” anymore. For a brand like Stone it is more important to stay ahead of the curve.